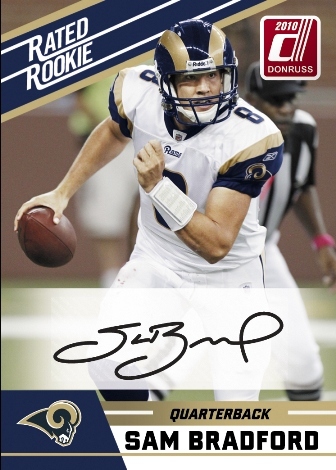 100 Rated Rookies featuring the biggest names of the 2010 NFL Rookie class including Sam Bradford, Tim Tebow, Dez Bryant, Jahvid Best, Ndamukong Suh, C.J. 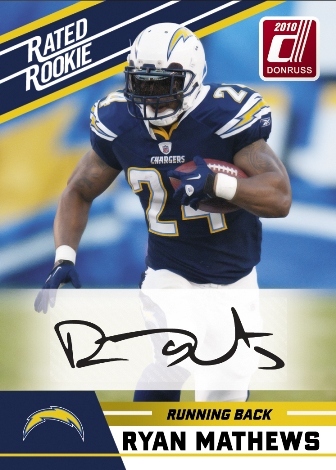 Spiller, Ryan Mathews and more! 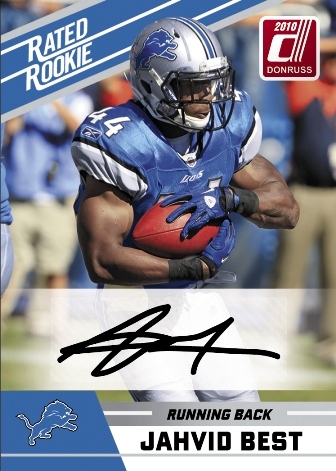 1 Autographed Rated Rookie featuring one of the rookies from the 100-card base set! 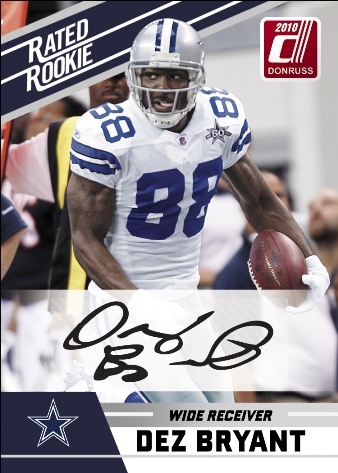 The well-traveled and popular Donruss Rated Rookie returns to the world of football cards this January in the form a 100-card box set. 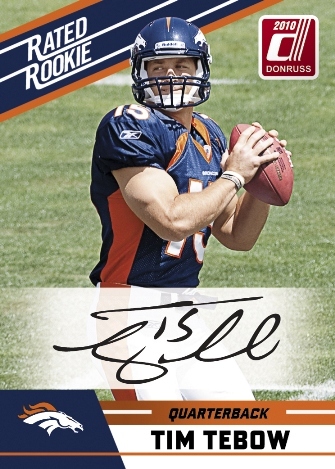 From Bryant to Tebow, the checklist is chalked with 2010's top rookies. 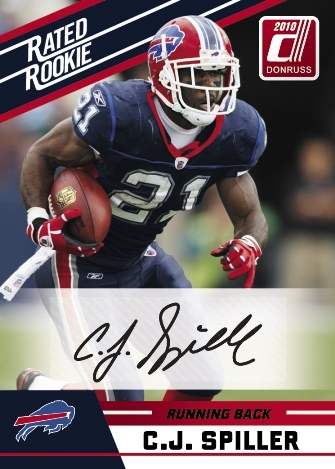 Each Rated Rookie Box Set delivers 1 autograph and a complete 100-card set for around $20.